The latest Ken Burns’ documentary ‘Prohibition’ airs on PBS on October 2nd, 3rd and 4th, but users of the PBS app for iPad and iPhone users can watch the first episode now. The first episode tells the story of the events of the 1800s that lead up to the passing of the Eighteenth Amendment to the U.S. Constitution. Now I know that the term ‘bootlegging’ came from a name given to men who sold swigs of liquor hidden in their boots or under their pants legs. The free PBS iPad app can be downloaded in the US App Store. Anyone in my office will tell you that when I pretend to shave using my iPhone it’s absolutely hilarious. Now, thanks to the L’Oreal Men Expert app I now have an app featuring an electric razor, but also a hair dryer both featuring real-ish sound effects. Useless yet fun apps have been around as long as the iPhone itself. My iPhone contains the iBeer app, Waterford Crystal’s Clink Clink app or the Zippo Virtual Lighter. I love to play with these apps… in public. Yes, friends… I am ‘that’ guy. Besides the electric razor and hairdryer the app also contains and even more useless steamy mirror. 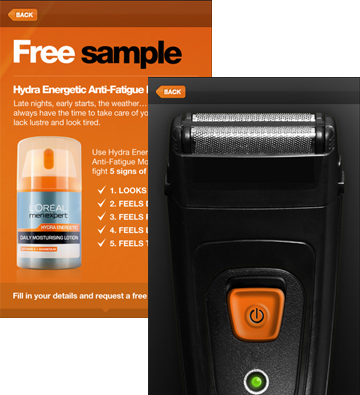 On the more useful side the app also contains a rundown of the whole line of L’oreal Men Expert products and includes an offer for a Free Sample 10ml of Moisturizer. The campaign is being driven by a series of tongue-in-cheek videos posted on The Expert YouTube page. The first video in the series featured instructions on how to create the perfect profile picture. 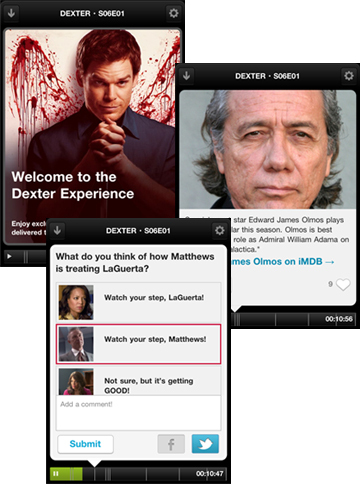 One glitch in the campaign is that both videos and the app include prominent links to a Facebook page where The Expert will answer questions. However, the Facebook page is missing in action. A spokesperson posted on the YouTube channel explaining that Facebook has been having problems. This is every client’s worst nightmare, that a crucial piece of an expensive ad campaign is not ready to be deployed or a problem has developed on a platform out of their control. The L’oreal Expert App can be downloaded in the Apple iTunes store now. Earlier this year Best Buy launched its electronics Buy Back Program. Best Buy has described the program as “future proofing” and will allow users to trade in their smartphones, laptops, tablets and other electronics for a percentage of the the original value. Best Buy along with agency Crispin Porter + Bogusky and mobile app developer Unit9 have created an iPhone app to promote the Buy Back Program. 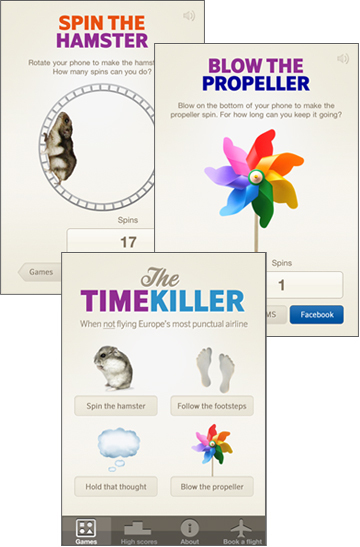 The app includes a Buybackulator, Upgrade Checker and a yes, even a Telephone Time Machine. The Buybackulator allows a user to select a product and enter its price. The application then calculates the amount of the gift card amount. The Upgrade Checker will send you an alert you when your electronics are ready for an upgrade. The Telephone Time Machine re-skins your iPhone’s keypad and sounds from a rotary phone to flip phone style to a futuristic style that looks like it requires a thumb scan. Simply shake your phone to switch between the different styles. The Best Buy ‘Buy Back’ app is available as a free download in the Apply App Store. If there’s one thing that Canada and Sweden share besides short summers, it’s the bugs especially mosquitoes. Who hasn’t come back from a picnic, camping trip or even an evening on the back deck covered with legs and arms covered in itchy mosquito bites. Wouldn’t it be great to know what the mosquito conditions are before you head out. 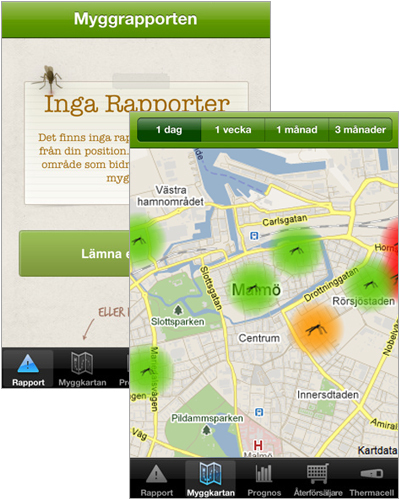 In Sweden, Thermacell, a maker of mosquito repellent devices may have a solution with their Myggrapporten (Mosquito Report) iPhone app. Users of the app can report the mosquito conditions at their location, helping others who will be visiting that spot help prepare. The app is ready to make recommendations about the type of mosquito repellent device that will help with the reported conditions. 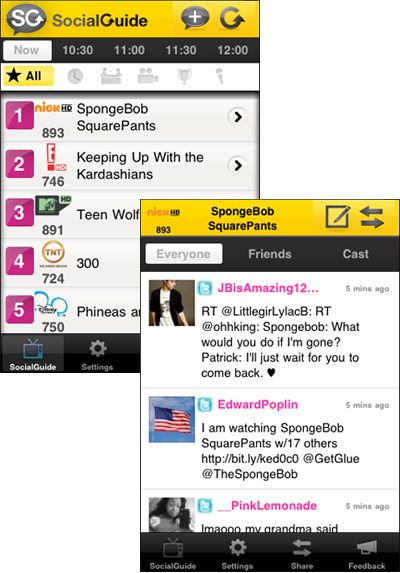 It quickly became one of the most popular apps in the Swedish Appstore. This app is only a hint at what we see in the next few years with users reporting weather, traffic (or mosquito) conditions at their present location. 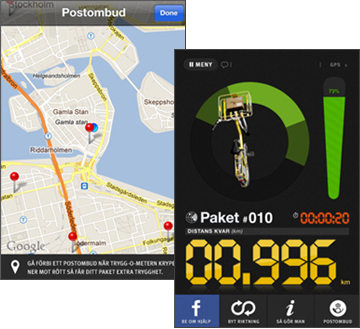 Sensors that attach, plugin or are built-in to mobile devices will make self-reporting easier. 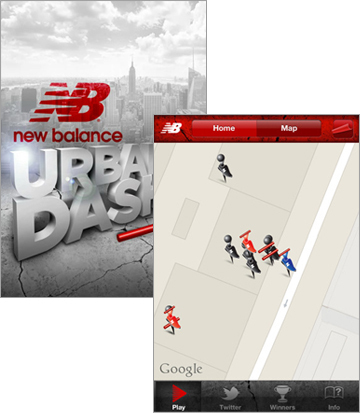 The app was created by Stockholm agency Deportivo. 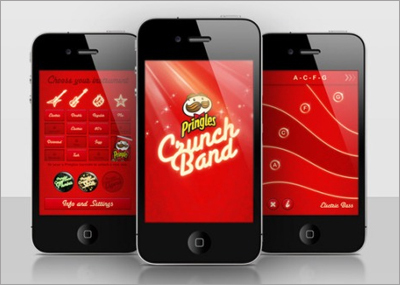 This summer Pringles Sweden have unleashed Crunch Band, a fun new app for chip munchin’ music fans. Created by the creative folks at CP+B Europe, the app wants to turn everyone into a budding rock star just by shaking and swiping their Android or iPhone mobile smartphone. The app uses the phone’s accelerometer to create the sounds of an electric guitar, bass and drums. More instruments can be unlocked by scanning the UPC code on the side of other Pringles cans. As the instruments are unlocked special badges are shared to a user’s Faceboook profile, and if your smartphone speakers aren’t loud enough you can order a special speaker attachment (in exchange for 3 product seals) that can turn your empty Pringles can into an rockin’ amp.